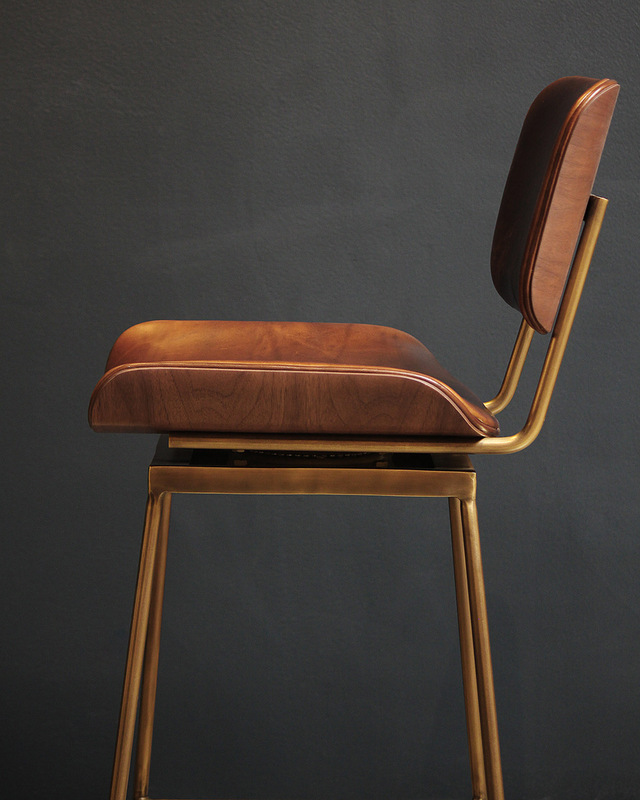 A custom designed stool by Thomas Hayes Studio, featuring a vintage 1960's bent wood seat and back atop a contemporary metal base. 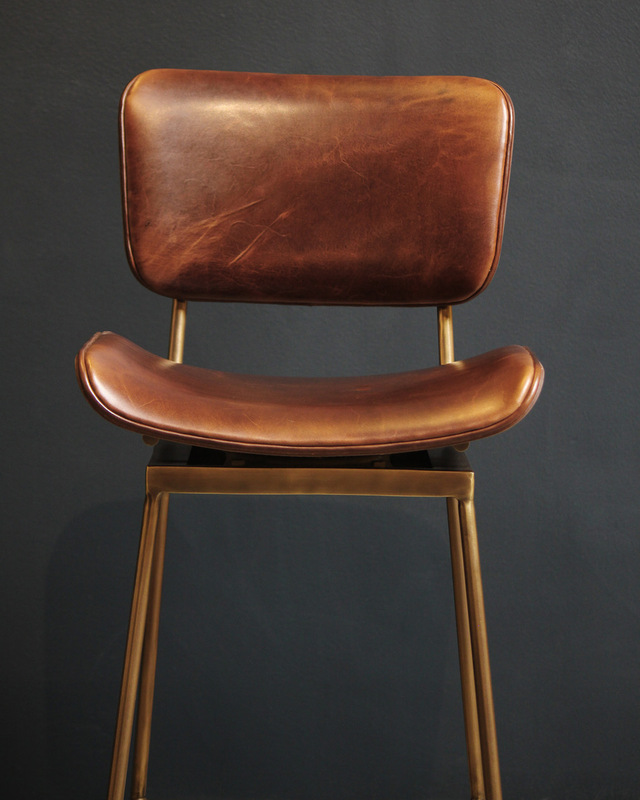 Available both as a stationary and swiveling frame in either brass or steel. See available finish options here. The Cojo is available for custom order with a lead time of 8-10 weeks. Contact us to inquire. Counter: 17"W x 19"D x 38"H // SH 26"
Bar: 18"W x 20"D x 43"H // SH 31"